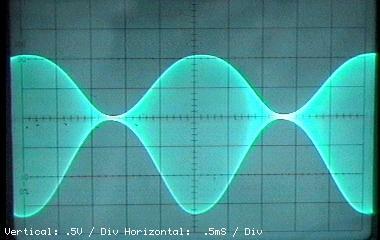 The objective of this lab is to construct an AM wave demodulator for the purpose of demodulation an AM wave. g) Duty - Counter clockwise - CAL. 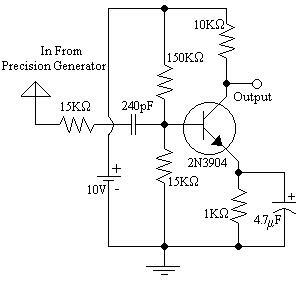 1)	Q:	What is the modulation frequency used by the generator? 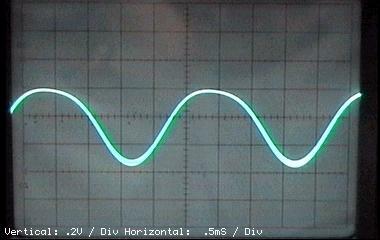 2)	Q:	What percentage modulation was used for the waveform? 3)	Q:	Which waveform indicates the production of two unequal envelopes? 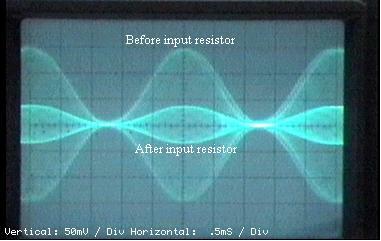 A:	The waveform produced at the output of the amplifier. 4)	Q:	What time constant was created with the use of the .03mF capacitor? 5)	Q:	What is VBE? 6)	Q:	What was IE? 7)	Q:	Is this an example of a square law demodulator? From this lab it is concluded that a transistor biased in the non - linear portion of the VE - IE graph can be used to demodulate an AM waveform. I believe that this lab is very accurate and I believe that the results were exceptionally good. Also, the VBE was calculated to be .645V which is a difference of less than 8% from the expected BJT value of .7V This proves that the results were accurate.